Buffalograss thrives in many areas of the continental United States. This low-maintenance grass provides groundcover in sunny areas with clay soils and minimal amounts of rainfall. Buffalograss reproduces and spreads through surface runners and seed production. This grass often reseeds itself and spreads beyond its intended site. In some instances, buffalograss invades nearby plants and groundcovers. Get rid of areas of invasive buffalograss in your yard and landscape with chemicals or by using newspaper. Cut buffalograss before it has a chance to produce seeds. Several varieties of buffalograss form seed heads at a short height. These seeds can relocate to other areas of your landscape, germinating in your vegetable gardens and flowerbeds. Use a grass catcher on your lawnmower to capture any developing seed heads. Lay sections of newspaper over the areas of buffalograss you need to kill. Smothering your grass with the newspaper allows you to kill it without chemicals. Lay two or three layers of newspaper on top of the surface of your grass, overlapping the edges of the paper to avoid bare spots. Place a 4-inch layer of wood chips over the newspaper to keep the newspaper in place. Sprinkle the wood chips with water to increase the weight and provide stability. Allow the wood chips and newspapers to remain in place for 3 or 4 weeks, or until the buffalograss dies and the newspaper begins to decompose. Till the area. Incorporating the dead buffalograss vegetation and the newspapers enriches the soil for subsequent planting of vegetables or flowers. Wait about two months before replanting the area to allow adequate time for buffalograss to decompose. Spray small areas of stubborn buffalograss with glyphosate. This type of herbicide effectively kills growing portions of grass. Avoid spraying nearby plants by guarding them against overspray with a piece of cardboard or a draping of plastic. 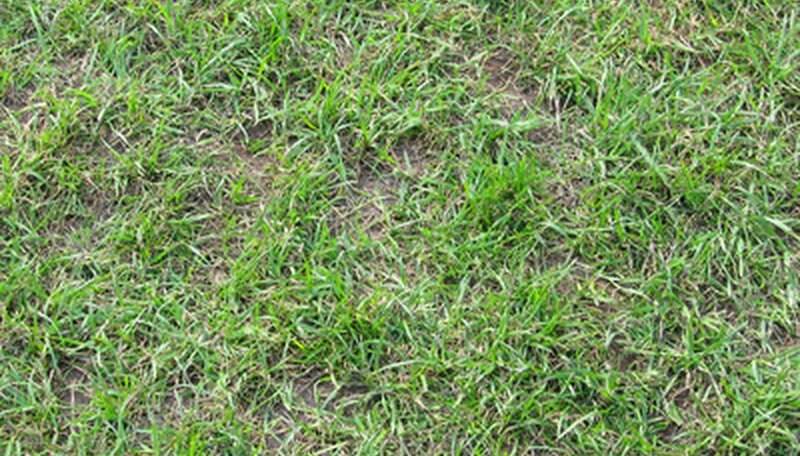 Apply your glyphosate on a calm, dry day and allow it to remain on the grass for at least eight hours before watering. Wait 10 days before planting other varieties of groundcovers or plants on areas treated with glyphosate herbicides. Do not apply herbicides on windy days. These harsh chemicals may kill nearby plants.